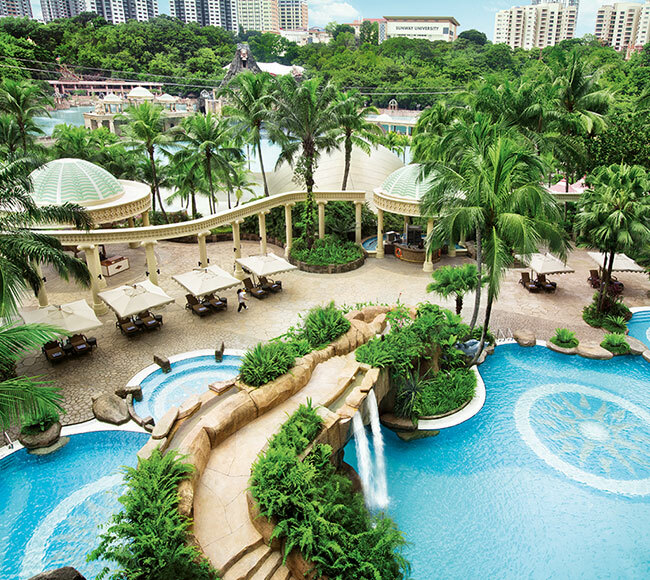 Sunway Resort Hotel & Spa is the flagship 5-star hotel located in the integrated township of Sunway City. The hotel is part of a cluster of 3 hotels, a massive convention centre, an iconic retail mall and a popular theme park in the 800-acre vibrant destination, just minutes to Kuala Lumpur city centre. 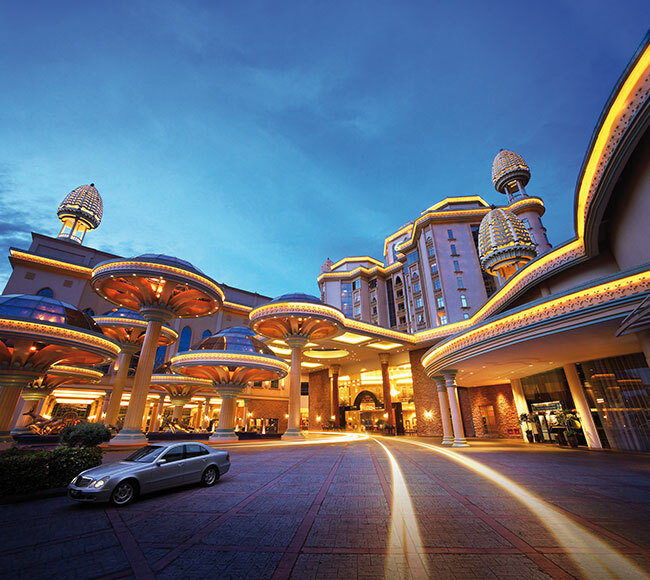 As one of Klang Valley’s most iconic hotels, Sunway Resort Hotel & Spa offers 442 well-appointed guestrooms, suites and pool villas with commanding view of the theme park or the resort city skyline. The collection of rooms include the Premier Rooms, Junior Suites, Premier Executive Suites, The Club Rooms and Suites, an impressive Presidential Suite and the Pool Villas which are tucked away amidst lush tropical gardens. Equipped with all the conveniences and modern amenities, the hotel is a preferred choice for both business and leisure travelers. 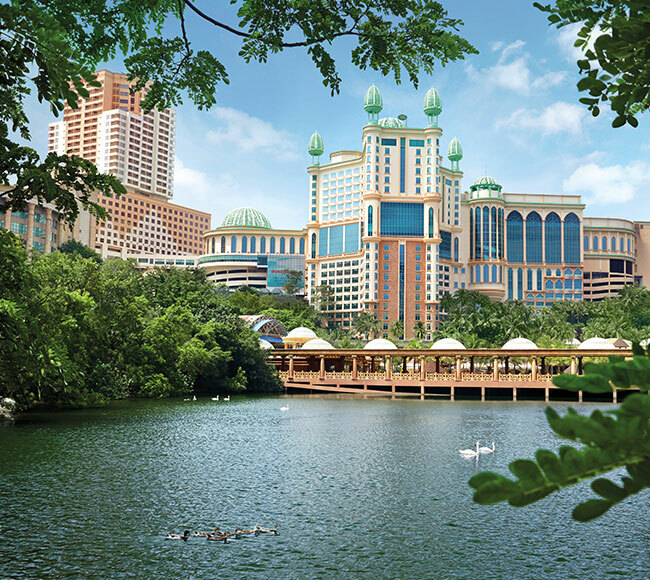 Located next to Sunway Resort Hotel & Spa is the Sunway Pyramid Hotel which showcases a collection of 564 Deleuxe guestrooms and the new purpose-built Family Rooms and Suites to cater to the needs of a new generation of travelers. 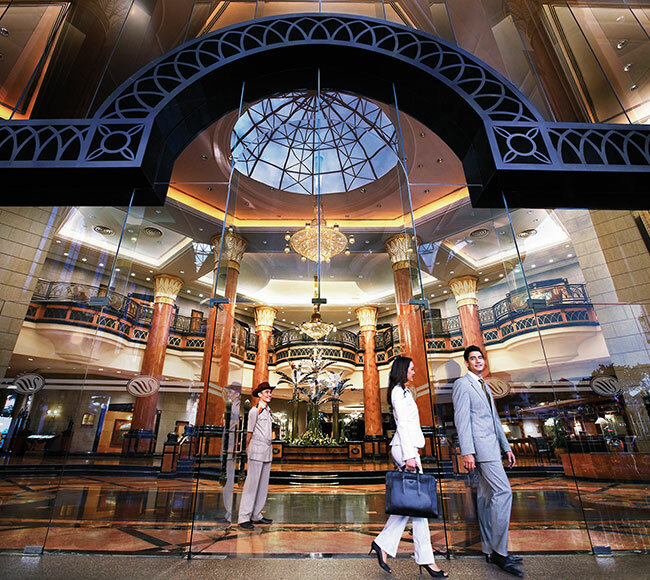 In the west side of the integrated destination is the 401-room Sunway Clio Hotel. The cluster of three hotels offers over 1,400 guestrooms, suites and pool villas, affording guest every conceivable choice and budget. 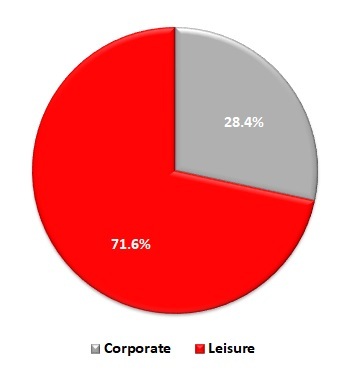 For meetings, incentives, conventions and exhibitions, this integrated destination offers over 10,000 square metres of world-class meeting space, including 63 meeting and function rooms, a grand ballroom, specialised meeting zone and the massive Sunway Pyramid Convention Centre, making Sunway Resort Hotel & Spa one of the most versatile conventions and exhibition venues in Malaysia. The Hotel’s food and beverage offerings include an all-day dining restaurant which serves Malaysian, Asian and regional favorites with a selection of Middle Eastern and Western cuisines, along with a lounge and var for evening cocktail and a cigar lounge. These are complemented further by a range of new dining offerings opened right at the door steps of the Hotel and over 170 specialty food and beverage outlets within Sunway City.